Everything was perfect. With a summer that seemed not to say goodbye to the city of Ostrava, the Latin World Championship 2018, shone in its splendor. The show began at 13:00 CET. 88 couples representing 52 countries were the protagonists of what was about to be a very long Saturday. The lights, the music, the TV cameras and the euphoric audience sealed a day that will be unforgettable for many. In the Arena Ostravar stadium, the public accompanied enthusiastically every round where the participants gave their best. Around 15:00 CET, out of the initial 88 couples, there were left 48 of them that would dispute to reach up to the most defining instances. As the hours went by, the pressure increased along with the climate of anxiety. Before the announcement of the qualified to the quarterfinals, the General Secretary of the WDSF, Mr. Nenad Jeftic, among others, opened the competition officially and warmly welcomed everyone. However, the ice under the main dance floor finally melted when the last six couples were escorted on motorcycles to give way to the big final of the night. Two couples from Germany (Marius-Andrei Balan - Khrystyna Moshenska/ Timur Imametdinov - Nina Bezzubova), two Russians (Armen Tsaturyan - Svetlana Gudyno/ Andrey Gusev - Vera Bondareva), one French (Charles-Guillaume Schmitt - Elena Salikhova) and one Hungarian (Andrea Silvestri - Martina Varadi) would compete against each other in the final. The stadium lights and the “Paso Doble” acclaimed by the public was the perfect scenario to play an exciting final. Finally, at approximately 22:00 CET the numbers defined as winners to the Russian couple: Armen Tsaturyan and Svetlana Gudyno. Between tears and applause, the audience went wild and asked to the golden couple to dance one last Jive. “We feel amazing because it is a very important title for everybody. We enjoyed the atmosphere; it was great today, with a huge public, the lights. It was fantastic”, admitted Svetlana to the reporters, feeling deeply touched as this is their first World Championship. For his part, Armen expressed his gratitude to his family and to the rest of the dancers: “We really appreciate what our parents are doing for us, when we were kids, they were there for us. They were waiting for this moment their whole life. And I want to thank Svetlana and the rest of the competitors because they are all great”. The silver medal was for Marius Andrei Balan and Khrystyna Moshenska (GER) while the bronze went to Timur Imametdinov and Nina Bezzubova (GER). On the same day that the World Championship Latin opened in Ostrava, Czech Republic, the third edition of the Summer Youth Olympic Games (YOG) got underway on the other side of the world with a dance-filled Opening Ceremony at the Obelisco de Buenos Aires at the heart of the Argentinian capital. For the first time in history, DanceSport will be on the official programme of an Olympic event, with the Buenos Aires 2018 Youth Olympic Games featuring four days of Breaking competition organised by the World DanceSport Federation (WDSF). It is a dream come true for the 24 selected b-boys and b-girls, whose YOG journey started with an online qualification process last year. Breaking was not the only DanceSport to appear during the Opening Ceremony. Tango, of course, also featured prominently along with a number of other disciplines throughout the one-and-a-half-hour production. International Olympic Committee (IOC) President Thomas Bach addressed a massive crowd that included athletes, heads of state, and members of the general public. Argentinian President Mauricio Macri officially opened the Games ahead of the lighting of the Olympic cauldron. Also attending the Opening Ceremony were WDSF President Lukas Hinder, WDSF CEO Shawn Tay, and several representatives from various WDSF National Member Bodies, making this a historical moment in the Federation’s history. The YOG will run from 6-18 October and feature 4,000 athletes between the ages of 15 and 18 from more than 200 National Olympic Committees (NOCs). They will participate in 239 events in 32 sports and 36 disciplines. For the first time in Olympic history, the number of female and male athletes competing will be the same. Alongside DanceSport, three other sports are making their debuts on the Olympic stage: Roller Sports, Karate and Sport Climbing. New disciplines and events are also joining the programme, including Kiteboarding, Beach Handball, BMX Freestyle and Acrobatic Gymnastics. 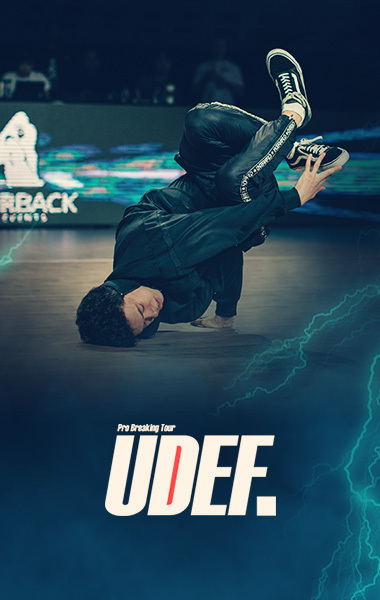 In Buenos Aires, the b-boys and b-girls will compete in 1vs1 battles on 7 and 8 October, with 2vs2 mixed-gender battles taking place on 10 and 11 October. Click here for the full schedule. 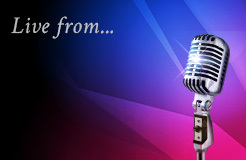 You can follow the final three days of competitions live on www.breakingforgold.com or on www.olympicchannel.com. 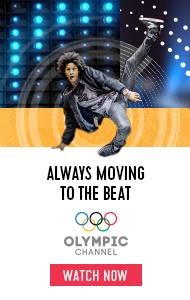 The sports at the YOG will be spread across four parks to ensure the entire city can enjoy the action. 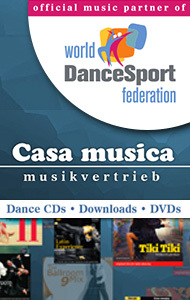 The Breaking events will take place in the Urban Park, while DanceSport initiation sessions in Folklore, Tango, Standard and Latin will be held for the public throughout the Games in all parks. World Championship Latin 2018 was Armen's and Svetlana's night. The top remained the same through the final, but the relief and excitement was clear after the last dance. A big thanks for the audience - the Champions as well as other couples from the podium said that the warm atmosphere was something that everyone could feel. The title is given - the magnificient end of the day with confettis in Russian colors crowned it. Stay tuned, still lot to come as photos and videos! What a night! The six finalist couples were escorted to the dance floor on motor bikes, and the crowd just loved it. By the reactions of the dancers, they did too! The winners mark their names into the list filled with names of legends. Congratulations Armen and Sveta on your first World Championship title! After four rounds we are now on the verge of something spectacular: the Final. This is the moment the fans and the dancers have been waiting for since November 2017. New World Champions will be named in a few minutes and this is the list of candidates. Who will have what it takes to become a World Champion 2018? Ice has already melted under our feet, it is literally such a hot feeling tonight in Ostravar Arena! The General Secretary of the WDSF, Mr Nenad Jeftic opened the competition officially in front of a huge audience - it seems that people are really DanceSport fans here in Czech Republic. General Secretary sent greetings to Buenos Aires, where the Youth Olympic Games 2018 start today - including DanceSport for the first time ever.
" The dedication and hard work is seen on the floor. The beauty of DanceSport is in its different forms" Jeftic continued, saying also that the true enthusiasm and passion is in Latin dancing - the sport spirits are at least as high in Ostrava as in the Argentinian capital today. We also heard the greetings from the President of the Czech federation, Mr Petr Ostricil and through video, from the Prime Minister of the Czech Republic, Mr Andrej Babis. The temperature in The Ostravar Arena is rising more and more: nobody would guess we have ice under our feet! The first round and the re-dance have already finished; out of the 88 couples who participated, only 48 are now left. The dancers did their best and the crowd supported them with cheers! However, there is still much to see until the expected final. The quarterfinal will begin at 18:50 CET (some 20 minutes behind schedule). 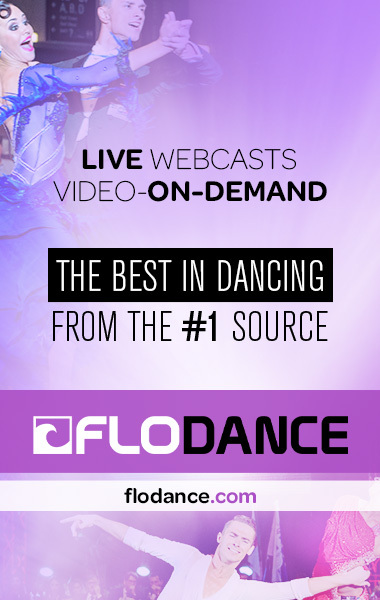 We will begin our LIVE stream through our partner, www.flodance.com, from the quarterfinal onwards, followed by semifinal at 20:00 CET and the final at 20:40 CET.